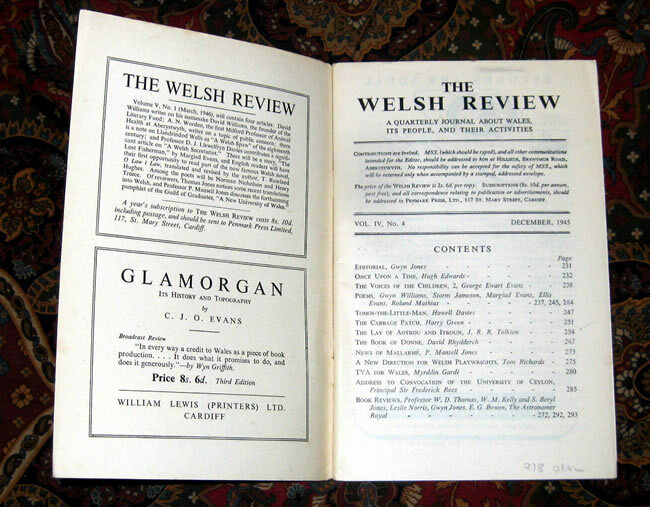 Includes the poem by J.R.R. 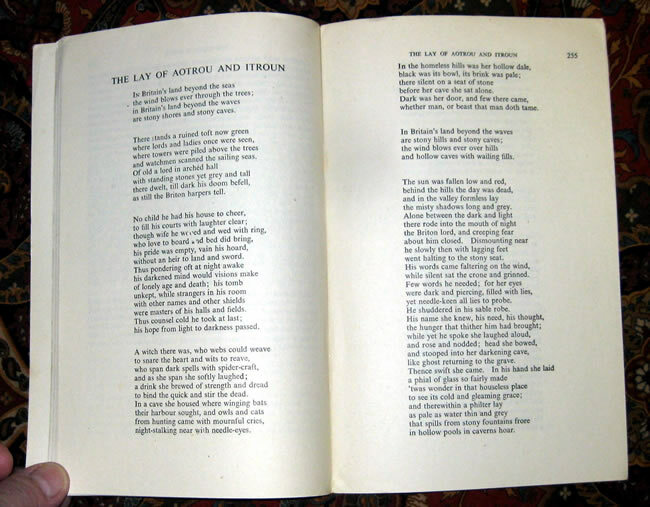 Tolkien, written in 1930, The Lay of Aotrou and Itroun. 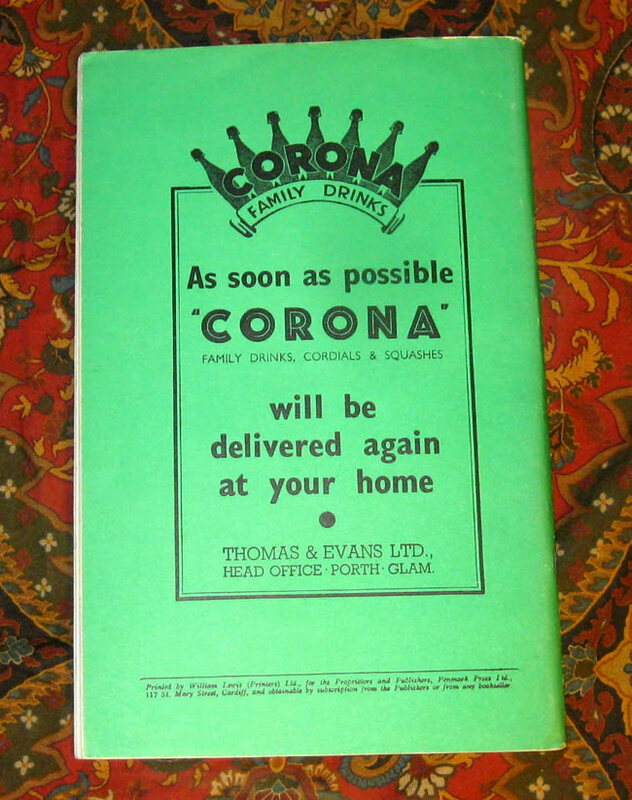 A Near Fine copy of this extremely scarce booklet. 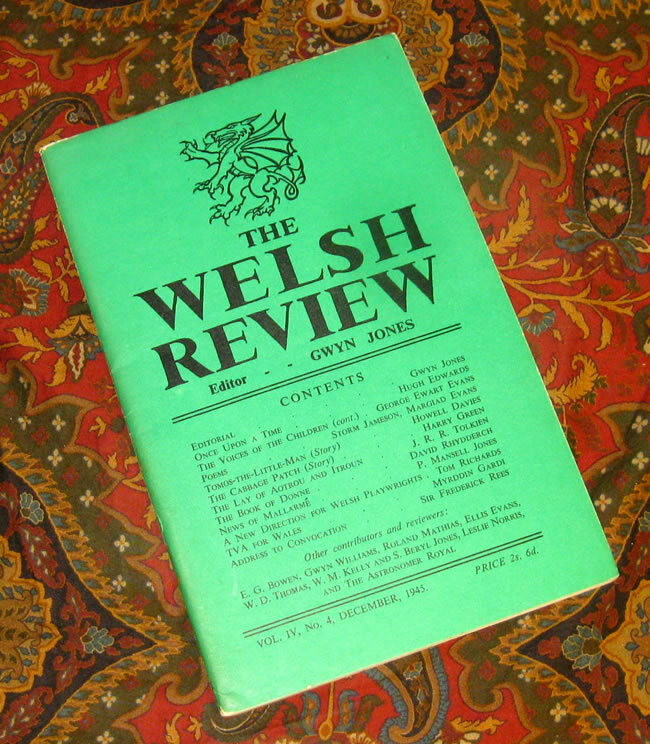 The Welsh Review, editor - Gwyn Jones, Vol. IV, No. 4, December 1945. Only the most minor of rubbing to the edges of the covers. Interior is clean and free from any markings or writing. Aotrou and Itroun are Breton words for "lord" and "lady". 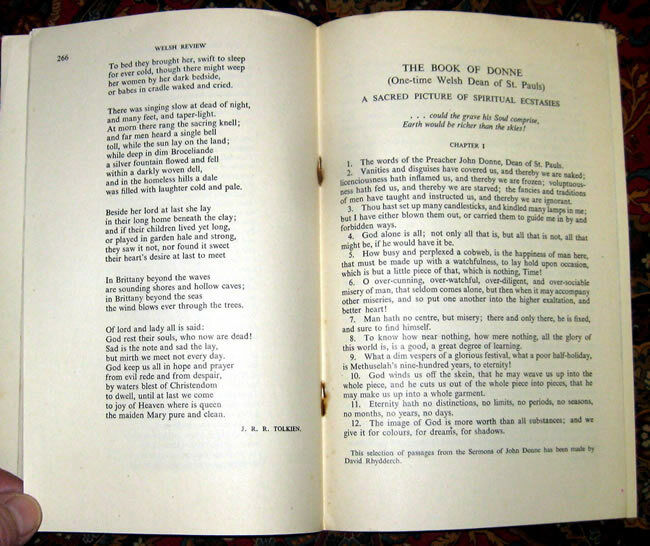 The poem is modelled on the genre of the "Breton lay" popular in Middle English literature of the 12th century, and it explores the conflict of heroic or chivalric values and Christianity, and their relation to the institution of marriage. In the poem, Aotrou and Itroun are a couple of Breton nobility. They are childless, and Aotrou seeks the help of a witch. When Itroun is with child, the witch reappears, revealing herself as the Corrigan, and asks for Aotrou's love as payment. Aotrou sacrifices his knightly honour to Christian values, and breaks his word. and drew me to this dell to thee." in the brave wars of Christendom. Aotrou passes away after three days, his wife dies of broken heart and they are buried together, and they do not live to see their offspring grow up.